Are you weary about rubbing chemicals into your skin that are often found in today’s skin and hair care products? Natural oils can be used to effectively nourish and moisturize your skin, and sometimes they do a better job than the products you find at the drugstore or department store. Here are 10 nourishing oils you can use for better skin and hair. Olive oil is found in most people’s homes, but it rarely leaves the kitchen. Though it is a heavier oil, it can be used to effectively moisturize the skin. Rub 1 or 2 teaspoons of olive oil all over your body until it is absorbed. It will form a barrier holding in moisture. Look for organic extra virgin olive oil if possible. Coconut oil is often found on super food lists because of all the healthful benefits. It can be used similarly as olive oil as a moisturizer for the skin and scalp. Rub a tiny bit between your hands and smooth it over your hair to reduce frizz. The healthy acids in the coconut oil are antibacterial and can prevent or reduce infections. Eat 1 or 2 teaspoons of coconut oil everyday to get the full benefits inside and out. 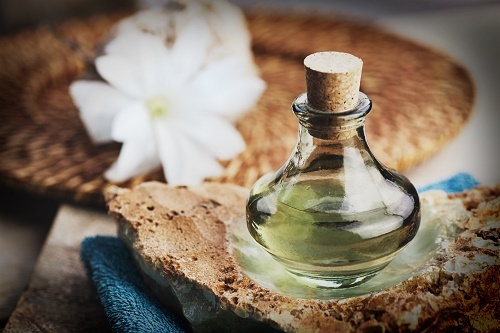 Jojoba oil is more expensive, but it is the ideal moisturizer for skin and hair because it most closely resembles the natural oil that your skin produces. If you use harsh shampoos that strip your hair and scalp of natural oils, use a drop or 2 of jojoba oil to replenish. Most people don’t like oily hair, but jojoba oil is light enough that using it as a moisturizer and frizz reducer is fine. Nourishing a dry scalp regularly may also help your scalp normalize and produce the right amount of oil once again. Hazelnut makes a delicious spread for toast, but more importantly, it is great for the skin. As with most oils, it is very moisturizing, but it is also great for those with acne prone skin. If you develop acne more quickly, you probably have oily skin caused by over-productive oil glands. Hazelnut oil can naturally calm the oil glands to ensure that they only produce enough oil to moisturize the skin instead of leaving it greasy. Almond oil is one of the best oils for skin. It moisturizes, but it can also help reduce dark circles around the eyes, prevent premature aging, and remove dead skin cells. Use it as a cleansing oil by massaging it into dry skin for 1 minute and then rinsing off with a warm damp wash cloth. Almond oil can also help reduce inflammation for those who suffer from psoriasis or eczema. Emu oil has been used for centuries to moisturize. These days, many people are taking advantage of the anti-aging benefits. It is known to help smooth out and prevent wrinkles especially around the eyes. It can also be used to help reduce pain and inflammation caused by injury. If you have joint problems, try using emu oil as a topical treatment. Argan oil is similar to many other healthy oils in that it can hydrate skin and reduce frizzy hair. Add it to a facial mask to moisturize while tightening pores. Use it as a deep moisturizing treatment for your hair. Saturate your hair with 2 or 3 tablespoons of argan oil focusing on the length of your hair that is older and more brittle. Cover it with a plastic shower cap and towel, and shampoo it out in the morning. Your hair will be soft and shiny. Avocados are well known for their healthy fats. These healthy fats can be used in a concentrated oil to help moisturize, but they can also help speed up healing of the skin. Add avocado oil to your diet to help lower blood cholesterol, and possibly prevent cancer. Macadamia nuts are considered a treat because they are so expensive. Their mono-saturated fats can be used in beauty recipes to moisturize and reduce inflammation. Use a cold-pressed macadamia nut oil for the best results and quality. Grapeseed oil is often used in cooking because it has a high smoking point. It retains its healthy fats even when raised to a high temperature. It can also be used topically. If you like the lightness of jojoba oil but you want something slightly more moisturizing or less expensive, grapeseed oil is a great choice. It is odorless and can be added to whipped butters such as shea or cocoa butter. While I don’t recommend using all 10 of these oils simultaneously, I do suggest picking a few to try out and experiment with. Check a local health food store or buy the products online. Mix them together or use with natural butters for the best results. What’s your favorite oil for skin and hair?